Celebrate Paddling ADK is a month-long festival that was started in 2016 through a partnership between Adirondack Lakes and Trails, St. Regis Canoe Outfitters, and Northern Forest Canoe Trail. The goal was to provide a month-long event that featured lectures and historical discussions at local establishments, a river cleanup, and paddling activities on nearby waters. In 2018, the event has grown even larger through the efforts of new partners, including Mac's Canoe Livery and Raquette River Outfitters. New events are also be held in Tupper Lake and Long Lake, courtesy of Raquette River Outfitters. Located in New York state's Adirondack Park, the village of Saranac Lake is the perfect destination for paddlers because it's surrounded by lakes, ponds, and rivers, many of which offer outstanding views of nearby mountains. Boat launches for Lake Flower, Lower Saranac Lake, and Lake Colby are all located within the village limits. The Saranac River runs through downtown. And there are dozen of other paddling options located within 30 minutes, including the St. Regis Canoe Area, which is home to dozens of ponds. 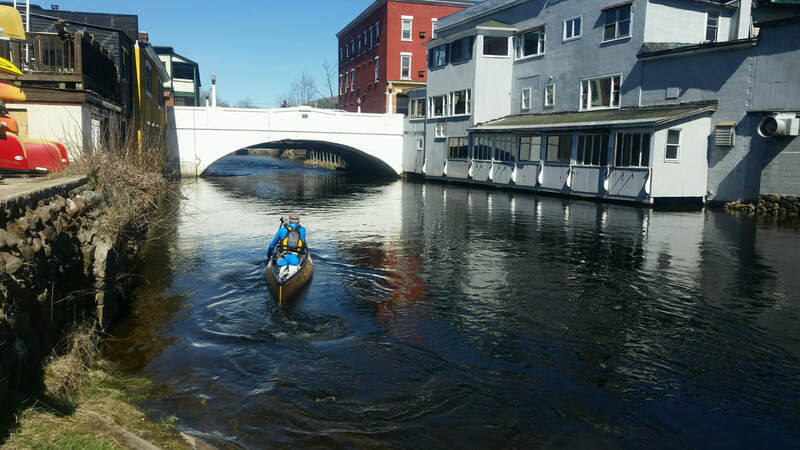 Many of these waters are also part of the Northern Forest Canoe Trail, a 740-mile water trail that extends from Old Forge, New York, to northern Maine. Because of the abundance of nearby water bodies, the Saranac Lake area is home to several canoe outfitters and dozens of licensed outdoor guides.